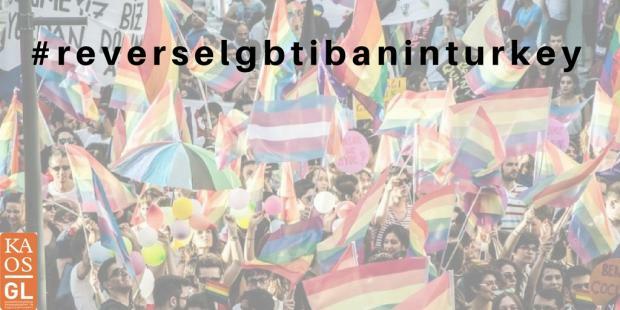 Ankara Governorship sent an official letter to police headquarters that” LGBTT, LGBTI, etc.” events have been banned in the city. The same justifications stated in the previous “indefinite ban” decision relying on the state of emergency laws have been repeated in the new ban. Ankara Governorship sent an official letter to Provincial Security Directorate on3rd of October saying that events related to “LGBTT, LGBTI, etc. issues” have been banned. As justification of the ban, “social sensitivities and sensibilities”, “public security”, “protection of general public’s health and morality” and “protection of the rights of the others” have been shown again. “We have received information from social media, printed and visual media organs about LGBTT (lesbian, gay, bisexual, transsexual and transvestite) and LGBTI (lesbian, gay, bisexual, transgender and intersex) named events including social sensitivities and sensibilities such as cinema, theatre, panel, exhibition, etc. to be organized by several civil society organizations in various places in our city. State of emergency is over, but bans still exist! The previous ‘indefinite’ ban declared on the basis of state of emergency law on November 2017. State of emergency is over, but the Governorship indicated the Provincial Administrational Law No.5442 and Law No.2911 on Meetings and Demonstrations as the justification for the new ban. The newly declared ban has been sent to Provincial Security Directorate as well as district governorships, Ankara Metropolitan Municipality and provincial gendarmerie command.